This is what's been on my mind the past day or two: a children's vegetable garden. 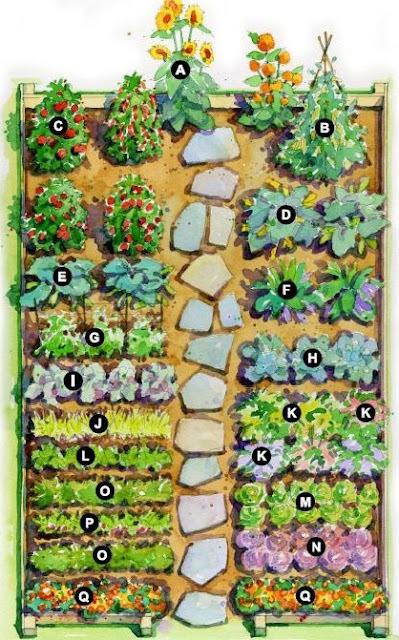 An easy children's vegetable garden, according to BHG. So we're planning our own version of the afore mentioned garden. I want my boys to have their own garden plot so they can get excited about gardening, gain some responsibilities with taking care of it, take pride in their work, and enjoy the fruit (or veggies, in this case) of their labor. So yesterday we got started. And here they are working hard getting their garden ready. Ground all turned over and ready for compost. Mixing the compost into the soil. We've since planted some seeds, watered, and are planning on picking up some flowers to plant as well. We're excited about our new garden! These will be such great memories for your cuties. I am so impressed. Every time I read your bio about being an "average housewife" I think...I would love to be like you as you are EXTRAORDINARY. How cute your children look working in the yard. Great idea to get them involved in planting. These pictures are so cute! I hope they get lots of veggies to grow. I linked to your page for the first time today from Small but Mighty's post. This post made me smile. What adorable little guys and a great thing to do as a family. I hope we can have a garden when my little ones get bigger.